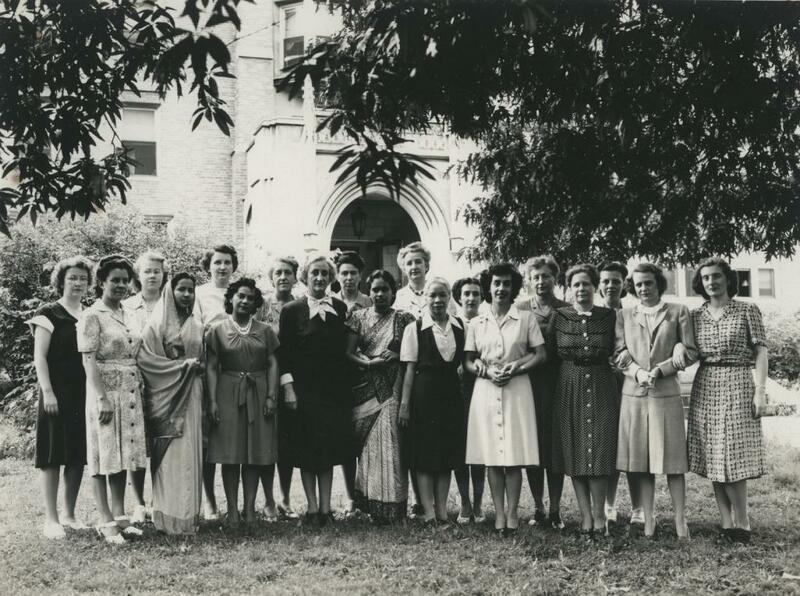 Dean Helen Zeigler and participants in a Rockefeller Foundation program pose on the lawn in front of the Vanderbilt University Nursing School in June 1946. In the upper right of the image, the falcate lobes of southern red oak 2-123 can clearly be seen. "Mary Lou Donaldson Photograph Collection, Eskind Biomedical Library Special Collections. Anonymous, “Rockefeller Foundation Nursing Fellows, 1946,” VUMC Through Time, accessed October 28, 2015, https://www.mc.vanderbilt.edu/throughtime/items/show/11652." If possible, link to the stable URL for this page.